::: Off the Radar :::: Javelin Tix Giveaway! Hey folks we got another tix giveaway for you today on OTR courtesy of the nice folks at WVUM! WVUM is UM's college radio station and one of the only good things Miami radio has going for us on the FM dial. 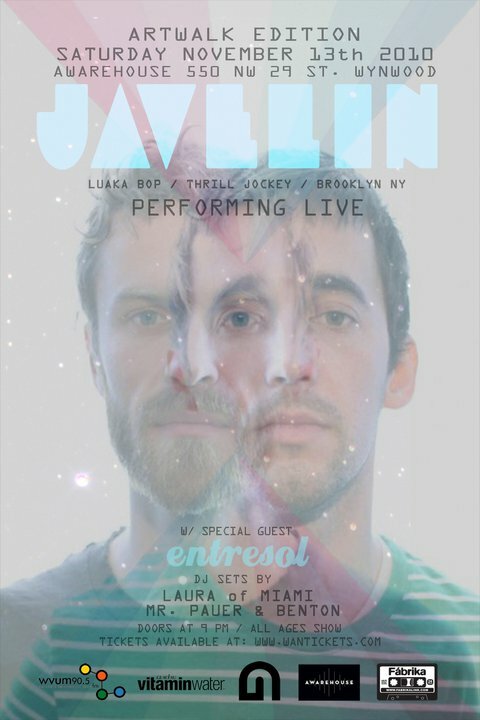 This giveaway is for experimental electronic Brooklyn duo Javelin who will be performing this Saturday, November the 13th at The Awarehouse here in Miami. Check out the Facebook invite for the event here. This is sure to be a great live show! Comment below with a valid email address and I'll pick a random winner Friday to be added to the WVUM guest list, plus one. Simple as that. Check out their video below for "Education" to get you acquainted/excited for the show. Good luck!